A perfect stability between north and south, the Double Baguette ring is a sign of balance. 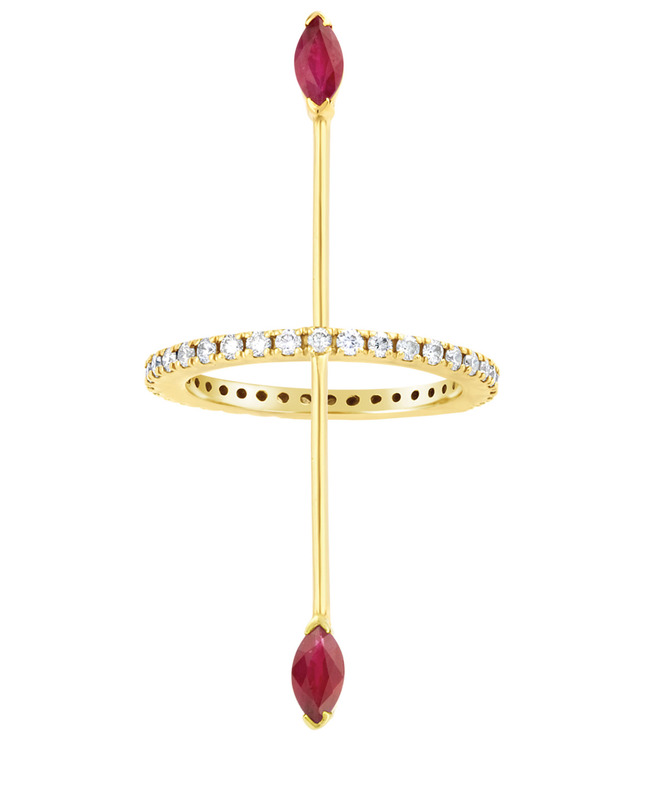 Such as the stellar system, the central band is set with brilliant-cut diamonds and has beautiful marquise-cut rubies gravitating around its axis. 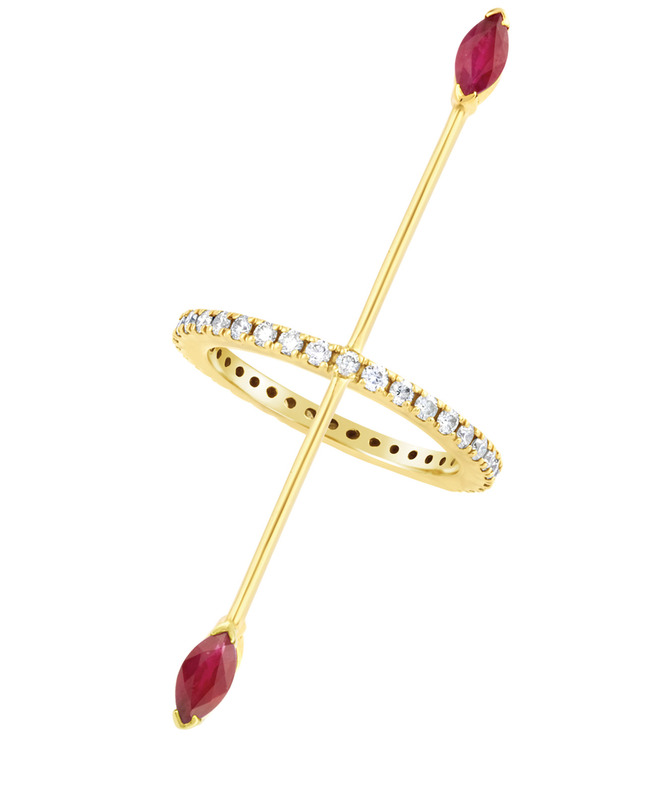 Entirely handmade, this ring of 18-carat gold is of extraordinary finesse and adds graceful length to your finger.